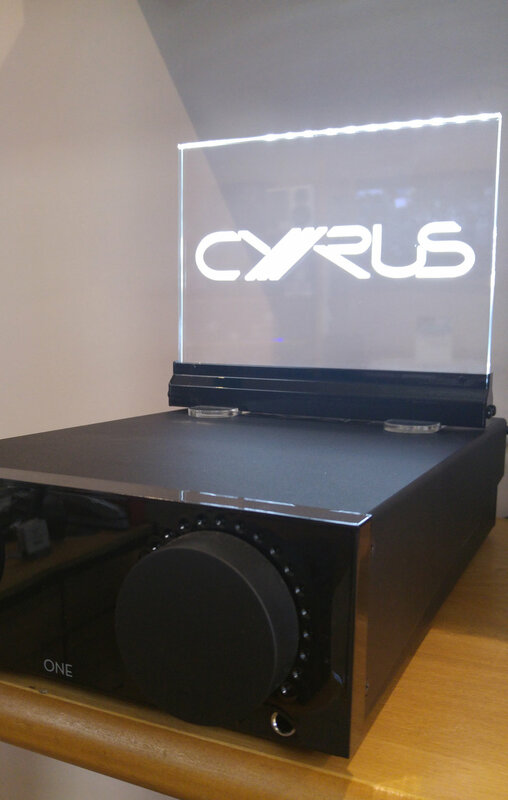 It's small, has glowing tubes, is packed full of features and can drive a floorstanding speaker with ease. 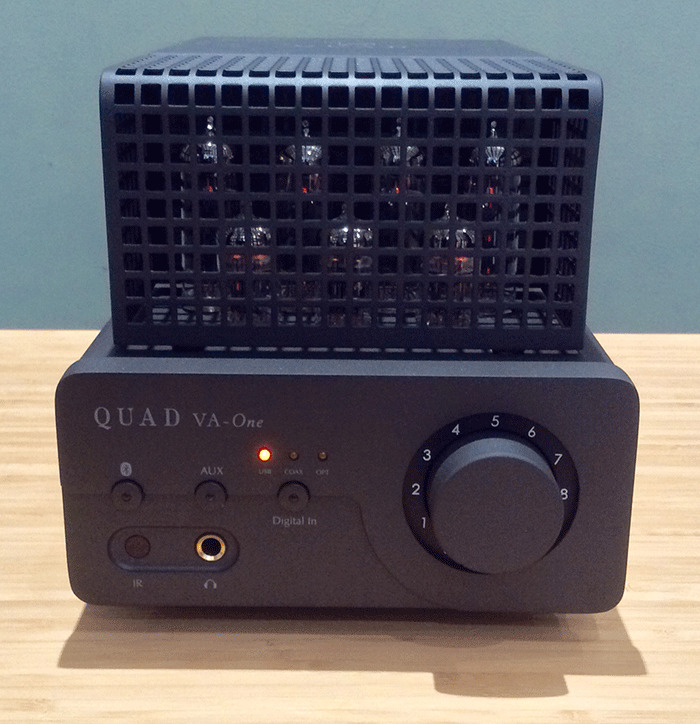 The QUAD VA-One is a superb amplifier and it's really cute too! This is no gimmicky amplifier, but a fully specced great sounding little amplifier from QUAD Electroacoustics. 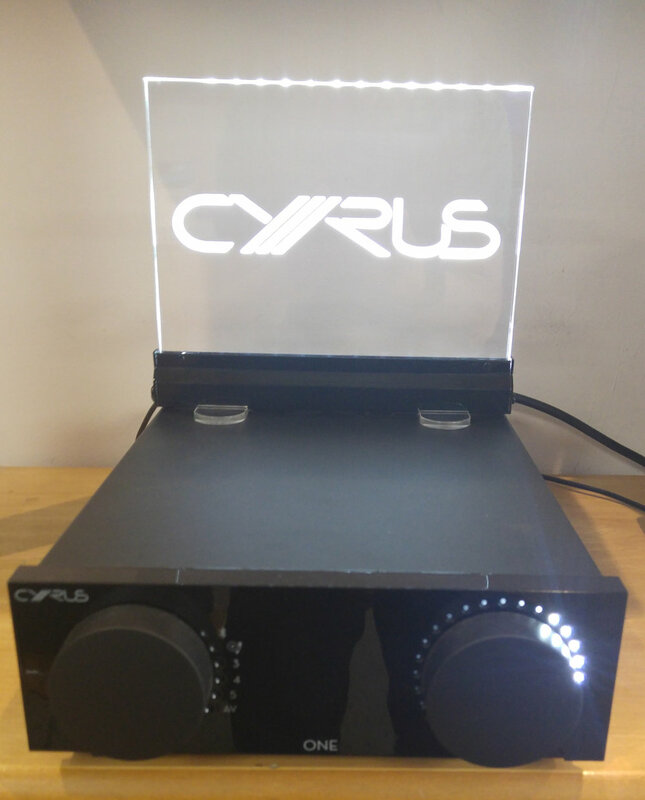 It has one line input, 3 digital inputs (coax, optical and USB) and on-board aptX Bluetooth. The build quality is superb with good speaker binding posts and a very nice sounding headphone amplifier as well. The valve complement is 4 x EL34, 2 x ECC82, and 1 X ECC83 delivering 15W into 6 ohms, or 12W into 8 ohms. It has a beautiful liquid open sound which we found especially good with female vocals. The old HiFi favourite Sarah McLachlan filling the room effortlessly, but it can rock too. We gave it a try with the other latest QUAD creation: the Z3 speaker and it was a revelation. With only 15W it won't go to "party" levels but what it does deliver is expansive and open, giving a real insight into the music. The QUAD VA-ONE is even small enough to be used as part of a desktop audio system, for which the USB input is an added bonus. We have this little beauty on demonstration in the shop, so give us a call and we'll arrange a demonstration for you. The QUAD VA-One integrated valve amplifier is the latest Hi-Fi product to join the QUAD family. The Quad VA-One is a small but perfectly formed Integrated amplifier, its footprint measures just 18x33cm. The VA-One includes a DAC, a headphone amplifier, a valve-based pre-amplifier and power amplifier for £1299. 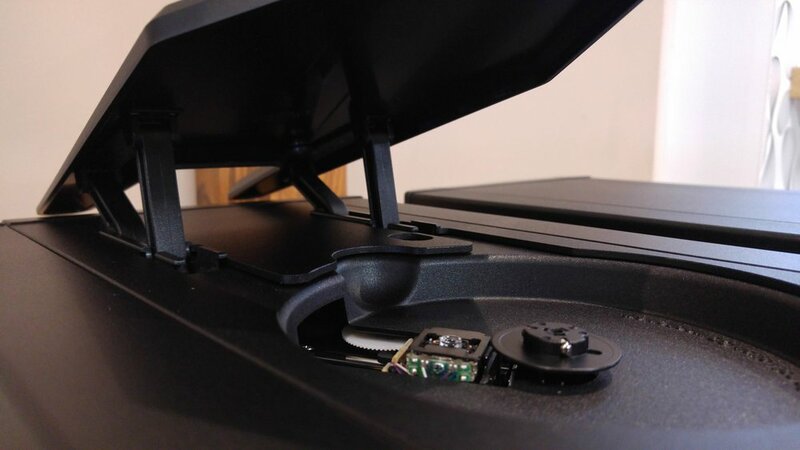 Three digital audio inputs – optical, coaxial and asynchronous USB – support data up to 24-bit/192kHz, and an RCA-phono input gives the option to connect an analogue source like a CD player or a turntable (though it does not have a built in phono-stage). The preamp section incorporates an ECC83 high-impedance triode. The output stage uses two EL84 pentodes per channel, delivering 2x15W. Despite its relatively low output it can still pack a punch when paired with easy to drive speakers. It delivers a warm and open sound and would be the perfect amp for fans of female vocals, Jazz, Blues and Soft Rock. "It's everything a modern integrated amp/DAC should be, yet with the retro warmth of valves" Ken Kessler, Hi-Fi News. If you would like to come and have a listen call the Audio T Oxford shop on 01865 765961 and book a demo. Henley Designs will be bringing a selection of gorgeous Unison Research valve, valve hybrid amplifiers, CD spinners, plus some of the more exotic Pro-ject turntables. If you really like your music, you really should come along for a listen. If you have a favourite album that you would like to hear on the Day please bring it along with you. Unison Research were founded in 1987 by a group of audiophile technicians, are a prestigious Italian manufacturer of valve-based premium high fidelity audio components. Specialising in the design and construction of amplifiers, CD players, headphone amps and phono stages that boast not only impeccable, effortlessly rich sound, but also an artistic visual design. Pro-Ject are widely recognized as one of the biggest and best turntable manufacturers in the world. Their mission is simply to produce the best sounding turntables and analogue components at the most competitive prices possible. We will have a number of turntables on display and demonstration over the weekend from their entry level decks through to their Signature Series. Refreshments and snacks will be served over two days and we will be more than happy to answer any questions you have. We will put the names of all attendees into a prize draw giving you the opportunity of winning a Project Spin Clean Record cleaning kit worth £75. The draw will be made at the end of the event day on Saturday. There will also be a number of discounts and special offers on the turntables and electronics on display. We look forward to seeing you. Jon, Dom and Paddy. The new Naim Uniti family consists of three all-in-one players from the compact yet powerful Uniti Atom to the multi-functional CD operating Uniti Star to the reference audiophile Uniti Nova. The Uniti Core completes the system, this is the industry reference music server which allows you to store and stream thousands of albums and back up all of your music in one place. Each player can work independently or together, just add speakers and fall in love with your album collection all over again in any room of the house. Come and experience the Uniti Core and Uniti Atom on the 25th of November from 2 pm until 7 pm, and 26th of November from 10 am until 5 pm at Audio T Portsmouth. We are also hoping to show pre-production examples of the Uniti Star and Uniti Nova. A representative from Naim will be here over the weekend to offer insight, answer questions, but more importantly demonstrate their new range. Come and be one of the first to see this exciting new range of products and one of the first to hear a revelation in sound. We look forward to seeing you all in November. If in the meantime you have any queries regarding the weekend please do get in touch.